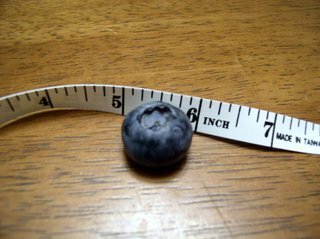 A 1-inch blueberry?! That's massive! What a monster berry! I'm so jealous - they aren't grown all that much over here and I love them. 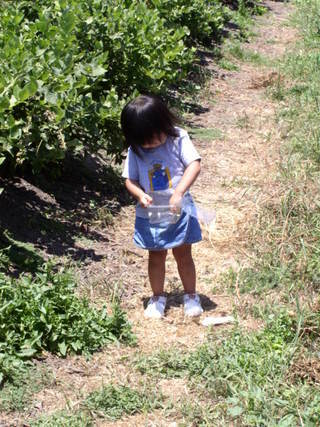 What a fun day for the girls and you. 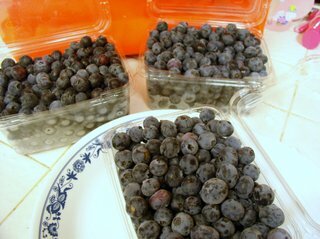 I'm still suprised (I only found out a couple of years ago) that your kind of blueberries are a totally different kind than the one over here, ours don't grow on bushes, but on little plants and the berries are much smaller and has a stronger flavour. No wonder I thought they tasted a bit "weird" when I was in the US.